1. Start with a pile of legs that are each a couple of inches short. 2. Pull the broken wheels from the bottom of the legs. It’s the hole from those wheels that lead to the fix. 3. 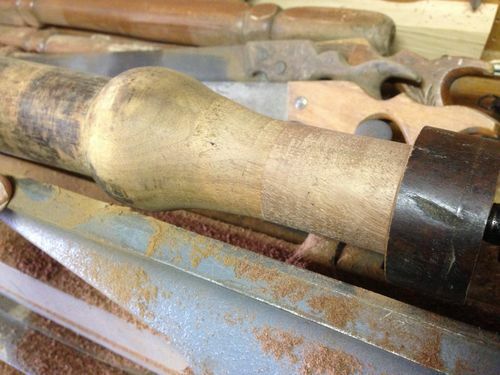 Cut a ‘fifth leg’ into 3” lengths. Those are doweled and glued to the squared bottoms. 4. 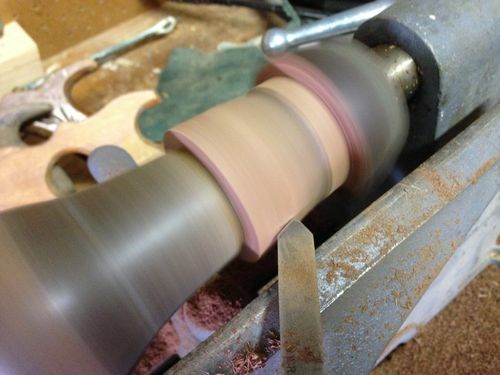 When the glue is set, head to the lathe. 5. Some sanding, then cut excess off before a little rasp work and sanding finishes the process. 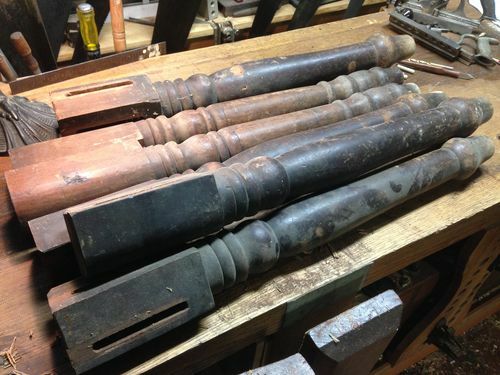 These legs will be primed and painted, but vintage walnut legs are definitely better quality and stability than the pine legs sold at the blue box stores today. Is this for the commission project? Resourceful solution. 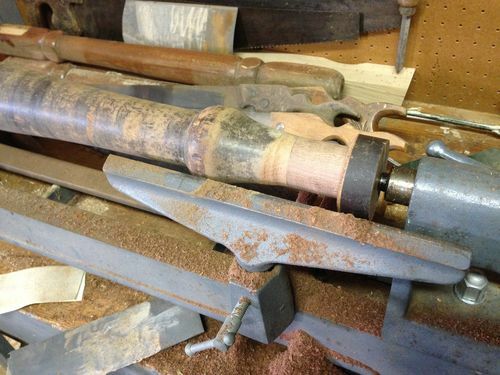 I made five of them, using one in destructive testing. The glued seam didn’t break, the wood did. We’ve got a winner, so I have four reclaimed for the table and two for the front of the buffet. Very pleased, moving forward. With the wheels, the legs were the right height when aprons were in place. Remove the wheels, there was a hole in the ends and the aprons were uncomfortably low. Any problems with getting the old legs centered to re-turn? Top of the legs have three square corners, which solved that end. For the bottoms, it was less exact. 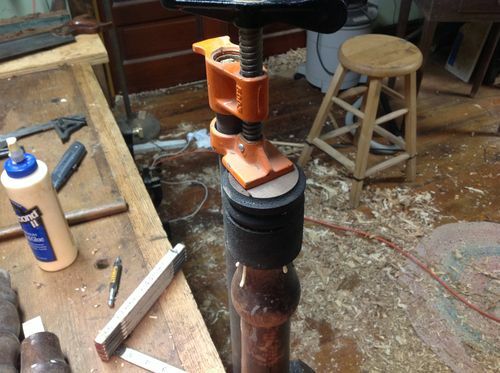 I set each in the lathe ‘tight’ at the headstock, and adjusted tailstock location while slowly rotating the piece by hand. Worked very well! Reported Sighting of the elusive ‘Board Stretcher’. 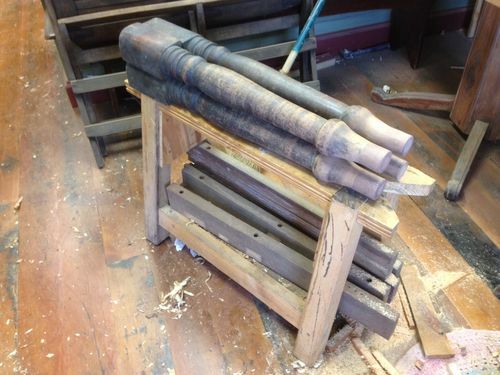 Grab a cup of coffee, sit back and digest Smitty’s latest tips on up-cycling reclaimed furniture fixtures, then take a walk out to the shop and …’stretch your Legs’. As always, great advice, accompanied by a full tutorial. A ‘Wink and a Nod’ from Mother Nature for re-purposing her products. And they say you can’t make ‘em grow if you cut too short. 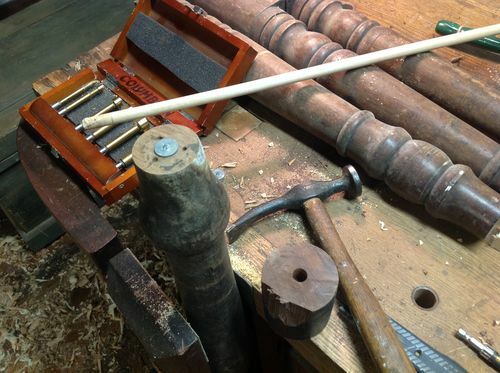 Yet another woodworking myth dispelled. Thanks for Sharing Smitty!! Awesome, Smitty. Good to hear the deconstruction test went swimmingly. ^ and there’s a higher bar when the stuff is going to leave the shop. 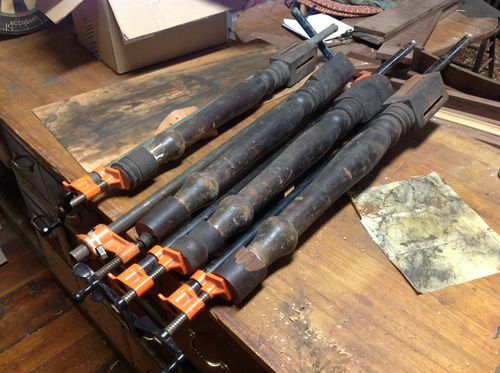 I looked into brass feet, ball extensions and entirely new legs… Those seemed inferior to me, especially the look and (lack of density) feel of new. Tight grain? Uhm, no. These sure do. Very hard to plane this end grain. Seriously hard. I’m very confident in the approach, and my name is going on it. Awesome Smitty. Hey, gotta be honest here: I spent the previous three days reading back through just about everyone of your blogs. Let me just say THANKS! They are a veritable fount of information and helpful tidbits. Please keep it up! Jake, thanks for the comments! That’s a ton of reading at this point, wow. Glad you liked any of them, and if I’m able to help anyone, all the better! They came out great Smitty. 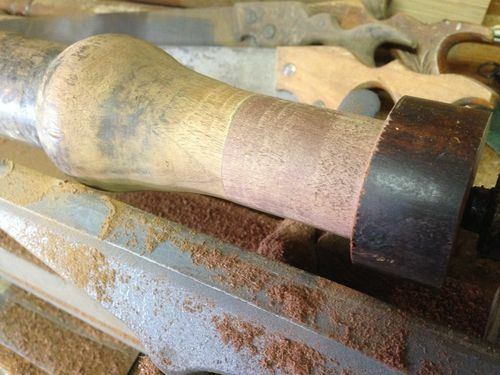 You could also cut them in half at a place where you could add a turned element like a bead or bead and cove to hide glue joint, but I can see that it will likely be completely invisible anyway after finishing. Excellent work and a great idea too.